Saturated – What Does That Mean? Omega 3 Fats – Haggis ? Information to help you choose the healthy fats to eat. The worst foods cholesterol related-wise are probably trans fats. In which case we’re talking about processed foods, boxes of frozen foods, fast foods from the drive through lanes, the convenient and time saving foods! Sadly we’re also talking about meats from commercial food lots. These animals are fed grains, not grass, for all their life. This results in their fat being high in omega 6 oils and low in omega 3 oils. Even worse, they are now fed GMO – genetically modified grains that tolerate high amounts of pesticides – passed onto us. They are given antibiotics and drugs to increase their weight. Passed onto us also. Yet even if these animals were fed organic grains, they would still lack the omega 3 fatty acids that make them, and us, healthy. In our cardiovascular system, our veins and arteries, lack of omega 3 oils can result in inflammation. Cholesterol deposits are a natural treatment for inflammation in our arteries. Cholesterol is the solution for that problem! How can you prevent that inflammation in the first place? First, avoid trans fats. Trans fats are hydrogenated fats or oils that are in processed foods. They extend the shelf life of breads, cookies, and boxed meals. The molecular structure of these fats have been changed. They don’t assimilate well in our bodies, they don’t give us energy, and they can cause inflammation. Inflammation is the basis of all disease. Cancers, IBS, heart disease, Diabetes, and more. Cholesterol is not bad in and of itself – it is what we cause it to do in our body’s chemistry that can be bad for us. Grass fed meat, grass fed milk and grass fed butter are easy to buy now. Most local markets have some produce from farms that provide these. The fat from these foods is good for you. It is anti-inflammatory and burns well for energy. 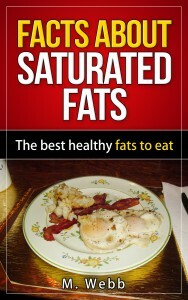 Saturated fat builds your cell walls and makes them strong. The unsaturated fats you eat from seed oils makes your cell walls flexible — these fats work together. These fats are anti aging. They cost more, but think about what a person might spend on a supposedly anti aging cream. Yet, skin health is from within. Spend your dollars on what you eat, not cosmetics. It is the trans fat category that does nothing for you. It is truly not a food. I recently found a fascinating video about NIACIN and how it is beneficial in lowering your cholesterol. Take a look at this section! CLICK HERE to learn more about grass fed meats,protein bars and jerky. You are welcome Alan! Thanks for coming by my blog! Thanks for attesting to your own living proof John! You’re right Michelle, we need a medium, or a better norm. More demand will bring the prices down for well-fed animal products. It is a tough fight going against the giant food corporations. Yet we vote with our dollars don’t we? Thanks for your feedback here. Hi Gary – that is a great story! The high fat diet of the Inuit would stagger us, who are used to “fat is bad”. The quality of the fats they eat have kept them healthy since…we don’t know exactly. Thank you so much for taking the time to write that story here! I’m glad to hear you got such great results from your diet change! A fre years ago, I saw a documentary about the eating habits of the Inuit people. Despite a diet that was practically devoid of vegetables, they had one of the lowest incidences of heart disease and cancer in the world. Then, as the modern world intruded, their diets incorporated a rising amount of processed foods. Obesity rates went up as did deaths from heart disease and cancer. Their cholesterol levels went through the roof. Two British doctors – identical twins – visited the area. They had similar cholesterol levels. They wanted to do an experiment – one of them would be the control and would live on the current Inuit diet which included processed foods. The other would live on the original Inuit diet of fish and seals. After a month they compared their blood readings. The cholesterol level of the twin who lived only on the original Inuit diet had dropped by 20%. It was a real indication of just how bad processed foods are for you. Of course, there have been other trials and experiments that have given similar results, backing up that finding. I now keep processed foods out of my diet as much as possible. I can do without all the added sugar, salt, trans fats and god knows what else is pumped into food. I’m not a vegetarian, but 60-70% of my main meal (dinner) is veg. I only ever eat lean meat like chicken or turkey or a bit of fish. No red meat at all. I cut out biscuits (cookies) from my diet too as they’re full of trans fats. And I’ve never had an issue with high cholesterol. My weight also dropped quite a bit. So that was a nice side-benefit. Food convenience (any pre-prepared food you basically just heat up) is actually detrimental to health. Cooking food that’s in its rawest form is the best way to go. All the additives in processed food aren’t there for your benefit. They’re there to make the manufacturer more money. And your health be damned in the process! Very interesting article, Dianne. I never realized how ‘bad’ things can be when we don’t feed the ‘best food’ to our animals who indirectly pass it on to us…it is amazing. I wish there were more health conscious people around in the big ‘business industries’ and not just more concerned about the ‘almighty dollar’. Surely we can strike a good medium? Copyright © 2019 Facts About Saturated Fats.